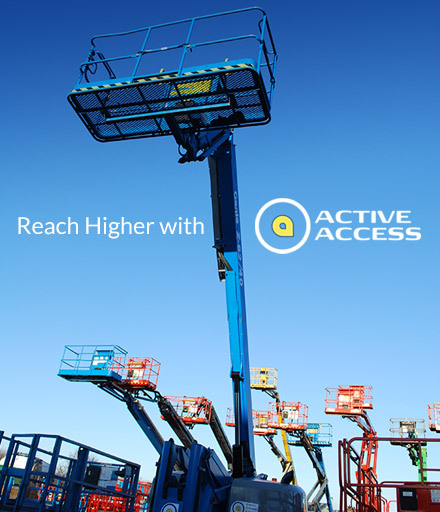 Active Access Ltd are Scotland’s leading independent provider of powered access equipment and working at height training. With our unrivalled combination of equipment and services, Active Access lets you reach higher. Our comprehensive range of Cherry Pickers, Scissor Lifts, Booms and Tracked Spider Lifts provide our customers with the right solution to any working at height requirement. Our accredited Training Centre, with highly experienced Instructors, provide the ideal facilities to enable quality learning. We offer a wide range of training courses that includes IPAF, PASMA, First Aid, Health and Safety and much more. Why hire for 3 days when you only have a requirement for a single day? Euro Mechanical Handling is lifting you further. Exciting times ahead for our sister company @EuroMechanical Handling, make sure you follow them to keep up to date! A fantastic day had by all on our #IPAF (3a+3b) training today. A huge congratulations to all our learners who successfully completed and passed the course!